Today, in its infinite wisdom, Software Update decided that I needed to install 2 copies of iTumes 10.4. 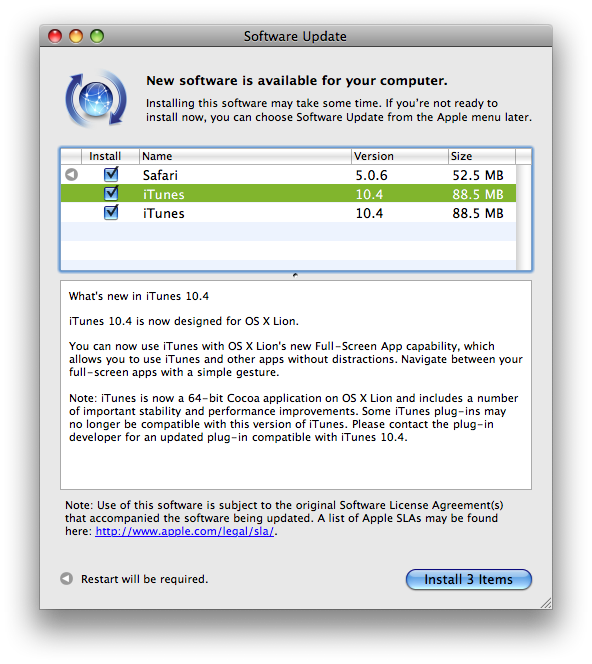 Now, while I understand that Software Update must have been very excited about the release of Mac OS X 10.7 Lion, I think I’ll let it cool down for a bit before choosing which iTunes update I should install. 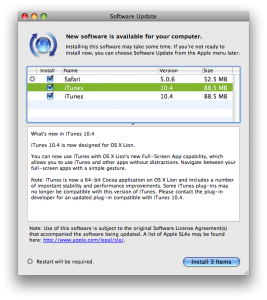 This entry was posted in Mac and tagged iTunes, MacOS X, software, update. Bookmark the permalink.